Home » social » Sommer’s Cookie Co.
Sommer’s Cookie Co. offers customized cookies for any special celebration. Baking has been a favorite pastime for Jenn Sommer for more than 10 years. Now, it’s her favorite profession, too. 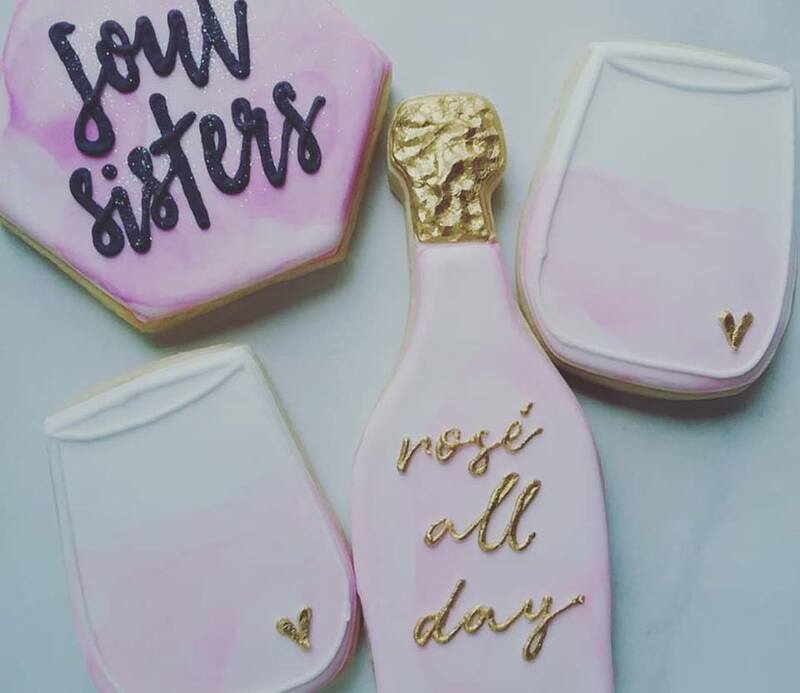 That’s because these customized cookies aren’t just a creative outlet for Sommer, they allow her to build a business and generate income while also spending precious time with her children, one of which has special needs. About five years ago, Sommer noticed that her youngest daughter wasn’t meeting important milestones. After enrolling in therapy, her daughter was diagnosed with Autism at 22 months. Sommer decided it was best for her to stay at home with her kids, so she quit her job as a case manager. They were so popular and the word-of-mouth spread so quickly for more orders that Sommer knew she was onto something. In Spring of 2016, Sommer’s Cookie Co. was born. Sommer is responsible for baking, decorating, answering emails, handling social media, promoting, designing, and packaging her cookies. Sommer’s mom comes once a week to help bake, while Mr. Sommer runs errands and helps clean up the kitchen. Every single order from Sommer’s Cookie Co. is custom. Sommer can match invitations, colors, and fonts to help make everyone’s event personal to them. “My schedule for custom cookies fills up quickly, but I always block off a week for each major holiday/event where cookies can be pre-ordered,” she says. Sommer has set designs that can be ordered, and everything is done via the Sommer’s Cookie Co. website. She works out of her home, located in Pickerington, and offers pick-up at her house or her parents’ house in Bexley (permitting they are in town). According to Sommer, the most popular holidays for her designs are Valentines Day, Easter, back to and end of school, Fourth of July, Halloween, Thanksgiving, and Christmas. Sommer is hoping that her cookie cakes continue to increase in popularity and can take the place of a birthday cake. Also on the horizon are the potential for cookie making/decorating classes. “I get asked a lot if I offer cookie classes, and it is something that I would like to possibly look into for 2019,” says Sommer. To learn more, visit the Sommer’s Cookie Co website, “like” them on Facebook, and follow along on Instagram.